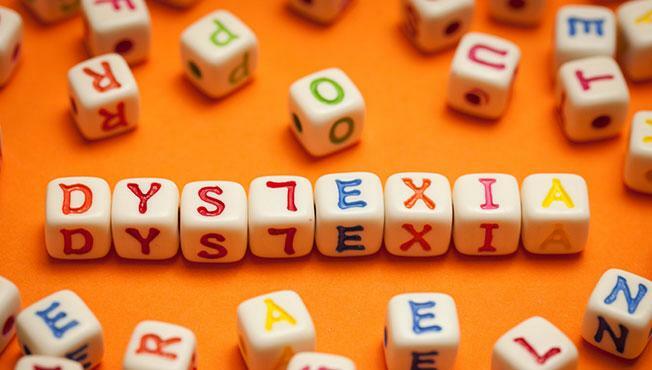 Dyslexia is a neurological condition, caused by differences in how the brain functions. Myths about dyslexia can make it more difficult to find support for children with this learning challenge. Debunk them here. Dyslexia is a neurological condition, caused by differences in how the brain functions. While more is understood about dyslexia than ever before, there are still misconceptions out there that work against those with this particular learning challenge. Here’s the truth behind six myths about dyslexia, adapted from understood.org. Myth #1: Children who are dyslexic read and write letters backwards. Some kids with dyslexia write letters backwards and some don’t. Others have difficulty matching sounds with letters. Others still find it hard to recognize words by sight. So, letter reversal isn’t necessarily a sign that your child has dyslexia. Young children commonly reverse letters. It’s not unusual to see them confuse b and d or write p instead of q. But if your child is still doing so by the end of first grade they may need to be evaluated. Myth #2: Dyslexia doesn’t appear until elementary school. Myth #3: Kids with dyslexia just need to try harder to read. Research shows that the brain functions differently in kids with dyslexia. It also shows that reading can actually change the brain over time. But effort has nothing to do with it. It’s the type of instruction that makes a difference, not how hard kids try. With good instruction and practice — especially via the multi-sensory approach — kids with dyslexia can make lasting gains in reading. Myth #4: Dyslexia goes away once kids learn to read. Intervention makes a big difference in helping kids with dyslexia learn to read. But being able to read doesn’t mean they’re “cured.” Dyslexia is a lifelong learning issue that can affect more than just basic reading skills. On top of making it hard to decode, dyslexia can make it difficult to read fluently. It can impact how well kids comprehend what they’ve read. Kids with dyslexia may also continue to struggle with spelling and writing even once they’ve learned to read. Myth #5: Dyslexia is a vision problem. Vision problems don’t cause dyslexia. But kids with dyslexia are no more likely to have eye and vision problems than other kids. It’s true that some may have problems with visual perception, or visual processing. That means the brain has trouble recognizing details in images and processing what the eyes are seeing. Those challenges can make reading difficult. But they’re not a part of dyslexia. Myth #6: Kids who don’t speak English can’t have dyslexia. Dyslexia exists in all languages. But it often takes longer to pick up on reading issues in kids who are bilingual or multilingual. That may be due to teachers and parents thinking these kids are struggling because they’re learning a new language. However, if kids have trouble reading in their first language and their second language, it’s a good indication that they need to be evaluated. Are you concerned your child may be dyslexic, or struggles with literacy in some other way? Contact the BFDC. We can help.